Who thought that these three things could combine into one awesome event? 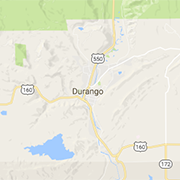 Thanks to Durango and its abundance of fun-loving locals, there’s no reason they can’t. 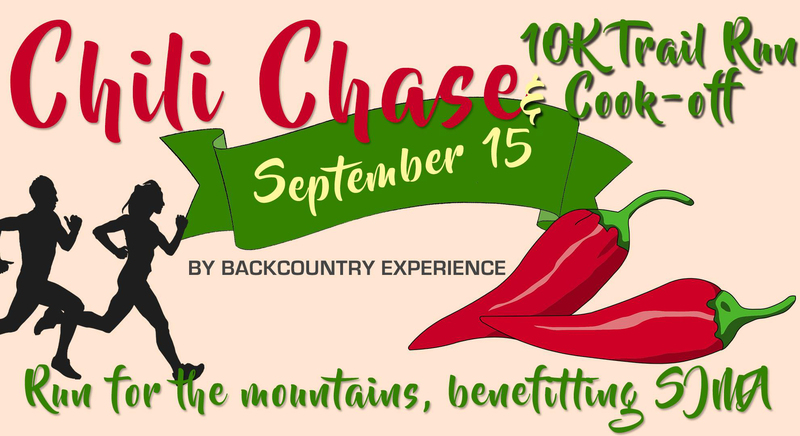 This Saturday, Backcountry Experience is hosting the 8th annual Chili Chase 10k Trail Run and Cook Off as a fundraiser for the San Juan Mountains Association. In an effort to promote education, volunteer stewardship, information and hands-on involvement of public lands here in SW Colorado, the non-profit San Juan Mountains Association (SJMA) was created in 1988 and has been working hard ever since. Working in participating agreement with the Bureau of Land Management Tres Rios Field Office and the San Juan National Forest, SJMA has been continuously working towards spreading educational awareness and interpretation. In our current time where public lands are in danger, the SJMA has a common passion for raising awareness for our beautiful land here in Colorado, and they’ve developed programs like Summer Fun for Youth, the Conservation Education Program, Teacher Workshops and Classroom Presentations, and the Chili Chase 10k Trail Run and Cook Off. There’s your tie-in to chilis and running - as if you needed another reason to join the run, now you can support the conservation of our public lands that we enjoy everyday! With 1,000 feet of elevation gain on this 10K run through Overend Mountain Park you’ll be challenged while running alongside other conservation-minded and passionate runners. In the midst of running, you can think about Chicago Basin, the San Juan National Forest, and the Weminuche Wilderness and how frequently everyone you’re running with uses these Lands for adventure, healing, exploration, and being humbled by mountains. If you weren’t a runner before, the thought of our beautiful San Juans should convince you to participate. Not to mention, Backcountry Experience is donating fundraiser prizes like Hydro Flask True Pint Glasses, a Canyon Cooler, a new Tenkara Iwana 12 Foot Fly Rod, and plenty more. If you get your friends and family to sponsor your run, you’ll get a chance to win one of the donated prizes! Running for the mountains, public land conservation of our amazing San Juans, free prizes - what else do you need for a full-package-Saturday in Durango? Every runner will receive a free entry into the Chili Chase Cook-Off from Backcountry Experience. The cook-off boasts over 20 dishes straight from local organizations! For the priceless cost of supporting our local public lands, you can “Run for the Mountains” and cool down while getting heated up eating delicious chili dishes. 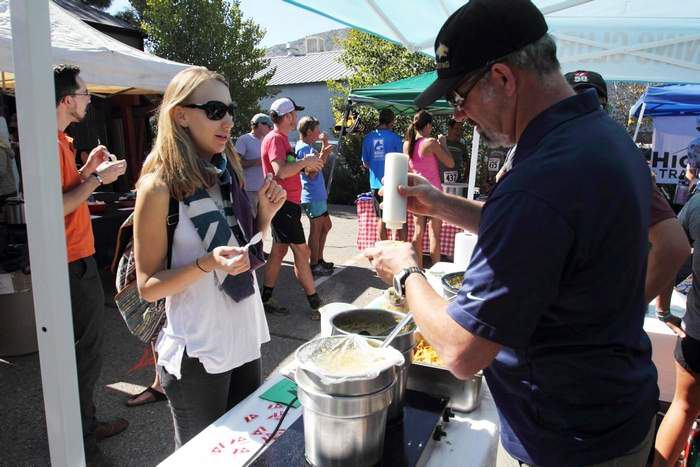 The chili is a classic staple of our Southwest Colorado cuisine, so much so that this entire race was created with the intention of combining a passion for trail-running, love for the San Juans, and the shared admiration for the beloved chili. There’s no doubt that each and every one of the dishes from this chili-cook-off will leave you begging for recipes. And who knows, maybe chili-dining after your morning run will become the new routine. The race registration and packet pick up is at 8:30, and the race begins right after that at 9:30. After you’ve ran for the mountains, chili time begins at 11:00! Or, you can register online and then show up for the race. Do your best to show up to the Chili Chase 10k Trail Run and Cook Off this Saturday, there will be plenty to do, see, and learn about. If you can’t make it, pay www.sjma.org a visit and start learning more about our Public Lands and how you can get involved in their preservation and conversation.